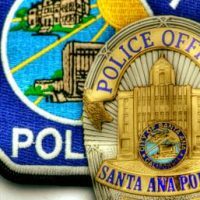 On Tuesday, October 16, 2018, at 4:50 AM, Santa Ana Police Department received information from the California Highway Patrol, Visalia Station, that they had made contact with a male in a disabled vehicle on the side of the freeway in Tulare County. During their investigation the male, identified as Milton Louis Mayfield made spontaneous statements indicating he may have killed a woman in a motel room in the area of First Street and Grand Ave in the City of Santa Ana. CHP Officers detained the male and contacted SAPD with the information provided to them. SAPD officers responded to the area of First Street and Grand Avenue to conduct welfare checks at the various motels in the area. At the Sunshine Village Motel, Officers discovered an unresponsive female in the room. Orange County Fire Authority paramedics declared the woman deceased at 5:21 AM. SAPD Homicide Section Detectives responded and assumed the investigation. SAPD Homicide Detectives responded to the California Highway Patrol, Visalia Station to interview Suspect Mayfield and to take possession of the vehicle which belonged to victim Deborah Ann Simon. Based on the interview with suspect Mayfield and evidence collected at the crime scene, Detectives arrested and booked Milton Louis Mayfield into the Santa Ana City Jail for the charge of Murder. The official cause of death is pending an autopsy by the Orange County Coroner’s Office. The motive and manner of the killing have not been determined. Anyone with information on the case is asked to call SAPD Homicide Section Detectives at (714) 245-8390, or Orange County Crime Stoppers at 1-855-TIP-OCCS.